Britt Nilsson is speaking out. The Bachelor nation alum may’ve seemed like a dream girl when she appeared on Chris Soules‘ season of the dating competition, but in reality, the brunette stunner was hiding some pretty serious problems. 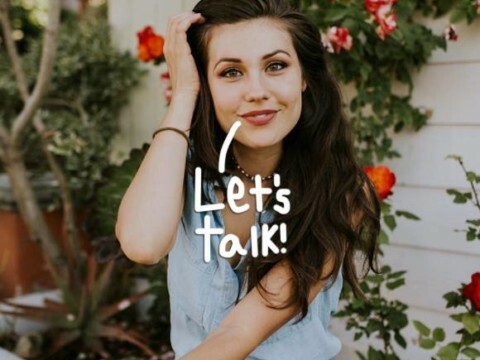 The reality TV starlet — who also competed against Kaitlyn Bristowe for The Bachelorette season 11 lead spot — has recently addressed her past issues with addiction for a series of videos on YouTube. Per Britt’s admission, the 30-year-old revealed that she’s battled everything from drug and alcohol addiction to bulimia. Apparently, Britt has struggled with binge eating disorder ever since she was young and that condition eventually developed into bulimia while in college. “For me, having tons of food everywhere … it just became too much. I had pain and anxiety, I felt insecure, I didn’t feel pretty enough, I didn’t know what was going on, I missed my family. “I’m an alcoholic. Meaning not that I was drinking a bottle of wine by myself in the bathtub, or waking up and taking shots, but my personality, for better or worse, is a personality where little is good, all is best, and more, more, more. … That’s just something that I’ve had to navigate throughout my entire life. Alcohol has been part of my life off and on, but whenever it is a part of my life I try to control it and I can’t. Thankfully, Britt is doing much better these days as she hasn’t consumed alcohol in the last year AND has vowed to “never throw up again.” Miz Nilsson also has an incredible support system in her fiancé Jeremy Byrne, whom she credits as the one who helped her get through her eating disorder issues. Awwww. We honestly couldn’t be prouder of Britt for opening up about such a tough, personal topic. Be sure to watch her first admission video for yourself (below). Previous articleLeonardo DiCaprio, Kate Winslet, & Billy Zane Have An Epic Titanic Reunion To Save Icebergs! Next articleLate Night SOUNDS OFF On Donald Trump’s Transgender Military Ban — WATCH! Listen To This: Thicker, Dimmer! JAY-Z Reveals New Music Video For 4:44 — Watch!